Make your backyard the place to be this summer with a fire pit from Breakaway. Breakaway offers a variety of fit pits, including gas, wood, and built-in models to meet your outdoor entertaining needs. You can count on our experienced staff to help you find the right make and model for your space. Once your fire pit is installed, you can start enjoying the best of the great outdoors from season to season. Built-in gas fire pits are manufactured with design in mind. 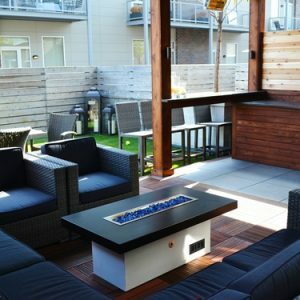 Breakaway sells and installs built-in gas fire pits from American Fyre Design. These products are durable, elegant, and artistically crafted. Take your pick from a range of innovative and modular styles. There’s nothing quite like a crackling wood fire! Wood fire pits from Breakaway are expertly made and easy to install in any area of your outdoor living space. 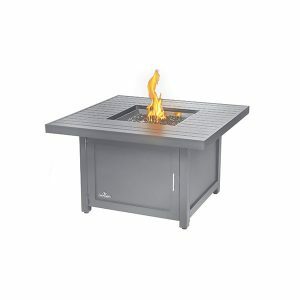 Breakaway offers multiple wood fire pits from Uniflame that are easy to load and feature protective grates. If you already use gas in your home or for grilling, you already know how easy and efficient it can be. Why not add it to your entertaining area? Breakaway is pleased to carry a selection of gas fire pits from Uniflame. Uniflame products are known for their quality craftsmanship. Various sizes and styles are available with features like push-button starters for added convenience. 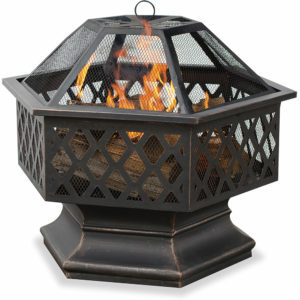 Fire pits are available to purchase in our stores and online. Full-service delivery and assembly is available for some models for an added fee. Our starting price typically reflects boxed pricing which normally is the lowest price allowed by the manufacturer. Delivery includes assembly and a new filled 20 lb. propane tank or bulk hose. Ready to enjoy the great outdoors in comfort and style? 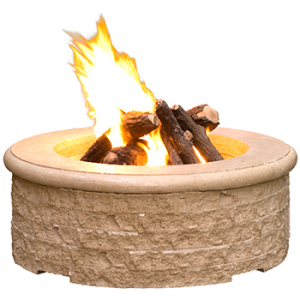 Call Breakaway, purchase your fire pit online, or visit one of our store locations.